What are the most exciting possibilities for innovation in how UNE educates students? What new ways of thinking would he like to see at UNE? What are the greatest implementation challenges going forward? How does he think about UNE’s relationship with other Maine universities (private and public)? At a personal level, as someone stepping into the role of president for the first time, what are his greatest satisfactions and most challenging responsibilities as leader–in–chief? And… What kinds of consultation partnerships has he found most useful? This “fireside-chat” format will be conducted by ACE members Susan deGrandpré and Bernard Mohr followed by an open period of questions and answer. * VUCA is an acronym used to describe or reflect on the volatility, uncertainty, complexity and ambiguity of general conditions and situations. The notion of VUCA was introduced by the U.S. Army War College to describe the more volatile, uncertain, complex and ambiguous multilateral world which resulted from the end of the Cold War. The common usage of the term VUCA began in the 1990s and derives from military vocabulary. It has been subsequently used in emerging ideas in strategic leadership that apply in a wide range of organizations, including everything from for-profit corporation to education. James D. Herbert, Ph.D., serves as the University of New England's sixth president. He assumed the position on July 1, 2017, immediately following the 11-year tenure of Danielle N. Ripich. 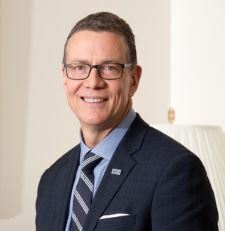 Herbert arrived at UNE via Drexel University in Philadelphia, where he had served most recently as executive vice provost and dean of the Graduate College. Before that, he had held a variety of administrative positions at Drexel, including interim provost and senior vice president for Academic Affairs, head of the Department of Psychology, interim head of the Department of Biology, associate dean of the College of Arts and Sciences, director of the Anxiety Treatment and Research Program, director of the Ph.D. Program in Clinical Psychology, and president of the University Faculty. Herbert’s educational background is in psychology; he holds a Ph.D. and M.A. in clinical psychology from the University of North Carolina at Greensboro and a B.A. in psychology from the University of Texas at Austin. His research interests include cognitive behavior therapy — including newer mindfulness and psychological acceptance-based models of behavior therapy, anxiety, mood, and eating disorders, remote Internet-based treatment, and the promotion of evidence-based practice in mental health. He is known internationally for his publications on quackery and pseudoscience in mental health, having authored more than 170 scholarly works on these and other topics. 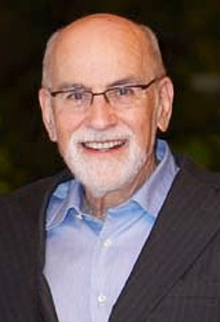 His 2011 book Acceptance and Mindfulness in Cognitive Behavior Therapy has been endorsed by His Holiness the Dalai Lama, who called it “a most beneficial and powerful method for ensuring a healthy mind and heart.” Herbert is a fellow of the Institute for Science in Medicine, the Association for Contextual Behavioral Science, the Association for Behavioral and Cognitive Therapies, the Academy of Cognitive Therapy, and the Commission for Scientific Medicine and Mental Health. Using Assessments in the Workplace. Assessments can ease about every personnel related chore in the workplace or they can be a disaster. This interactive session will leave you with a list of instruments that can increase your effectiveness as you work with your clients. Explore what assessments can actually assess, how to use the results, and how not to use them. C. Waite Maclin, Maclin Cousulting, provides services to business, governmental, educational, medical, social service, and religious organizations. The primary purpose of the consultation is to create a positive atmosphere for clear decision making. Such services are based on prior and practical information gathering in order to design events to fit each individual situation or setting. Registrations (and registration cancellations) are required by April 17th. If you want to be included on the registration list at the meeting then you need to register by the due date. If you find you can't attend, please notify us by March 13th. After that date, we cannot refund or push forward.